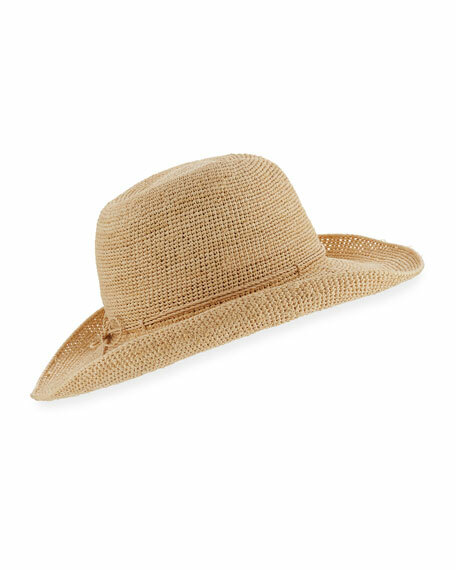 Helen Kaminski "Belen" cowboy hat in raffia straw. Flexi copper wire brim for styling. For in-store inquiries, use sku #687972.